Many people recall some encounter with the works of William Shakespeare. Sadly, many of those experiences are boring, dry recitations in high school. Or, they could be an exciting life-impacting event — as I've recently heard from my new online buddy, Richard in Texas. 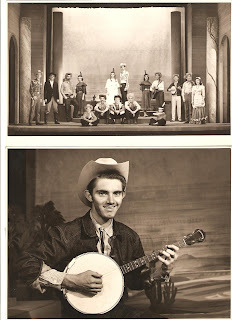 When Richard was enrolled at Howard Payne University in 1958 he found himself and his banjo in a cowboy-style version of "A Midsummer Night's Dream." Richard was cast as Snug the Joiner in a production that left Brownwood, Texas, and embarked on a tour of England. 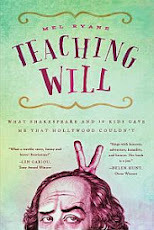 Howdy Mel Ryane, Saw your interesting website about teaching William Shakespeare. Thought you might enjoy the story about our DREAM TOUR back in the summer of 1959. I was Snug the Joiner. It was a real experience. "It's kinda funny when Ah say 'Perish on mah sword,' " mused a Colt-toting Texas lad, and it may be even funnier than he supposed. This week he and 27 other Texas students are due in London with what is likely to be the oddest U.S. export to Britain this year—an "adult western" version of Shakespeare's Midsummer Night's Dream, produced by Howard Payne College (enrollment: 1,100), a Baptist school in Brownwood, west of Waco. 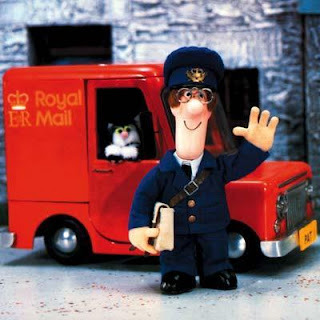 Just as unlikely is the Dream's creator: a trim, urbane Englishman named Alex Reeve, 58, who turned up at Howard Payne more than two years ago as speech professor, after 14 years as a director at the Royal Theater and Opera House in Northampton, England. When Reeve descended on Brownwood, he was appalled to find that Shakespeare had not been presented there professionally for 40 years and not even by amateurs for 20 years. He promptly put the Bard and his students in the same corral. Instead of "a wood near Athens," Reeve's Dream is set on a Texas ranch in the 1880s, and the guitar-twanging players appear in Stetsons, bandannas and bustles (Hippolyta is an Indian princess in white buckskin). The dialogue is unchanged except by Texas tongues: "O naht! alack, alack, alack! Ah feah mah Thisby's promise is furgot." Last fall this hilarious enterprise was boffo at the Texas State Fair and invitations to hit the road in Britain landed on Reeve's desk. To pay their way, the players kicked in their savings, worked at all sorts of odd jobs, raised $10,000 on their own. Friends, teachers, fellow students boosted the ante to $17,000. Result: the Howard Payne Dream will be sole U.S. representative at Bristol's prestigious International Festival of University Theater, and for nine weeks will get top billing at professional theaters in Coventry, Northampton, Cambridge, and Dundee, Scotland. If this is the way to meet up with ole Shakespeare, the students say, "we feel raht at home doin' it."